If cookies are an all-American classic, then macarons are definitely France’s choice confection. These meringue-based treats have become an embodiment of Paris, being chic, pricey, and associated with luxury. 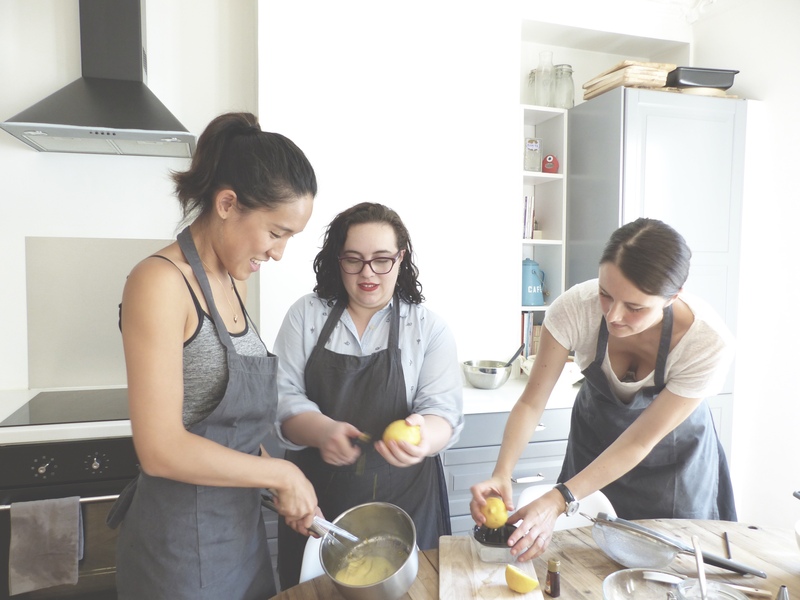 We wanted to share a little of la vie parisienne, so we got in touch with four American expats living in the City of Light and invited them along to the best macaron making class in Paris. Travel writer Deborah Carter once asserted: “You have to taste a culture to understand it.” And boy were they about to understand the French culture. 3 full plates of it. 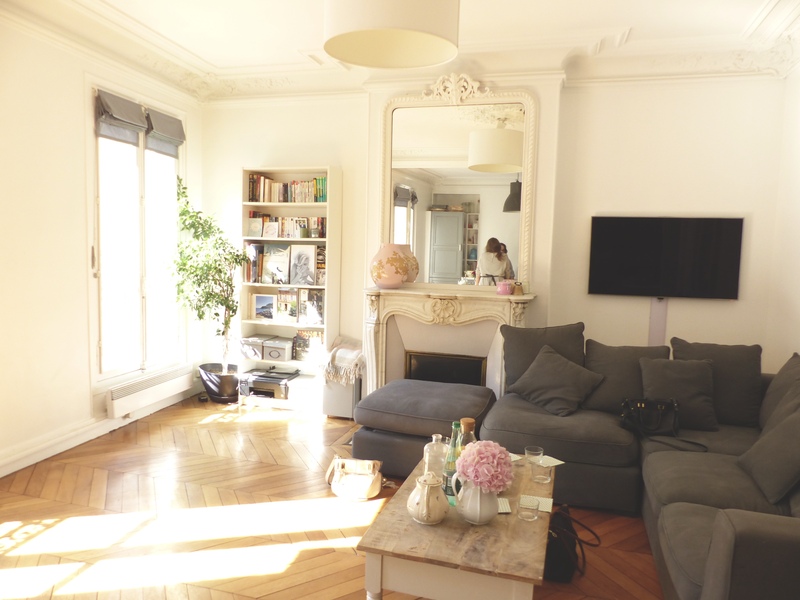 Our bloggers arrived at BonAppetour hostess Bénédicte’s sun-drenched apartment in the chic 17th arrondissement at about 2pm. Bénédicte’s background in the French Luxury industry not only comes through in her cooking, but in her apartment too. It is effortlessly chic, with the crisp white walls meeting ornate mouldings on high ceilings. Fans of Parisian architecture will not be disappointed with the added French flair of parquet floors and a wrought iron balcony. Our hostess had lovingly prepared a spread of homemade chouquettes, mini-meringues and tea. This was the perfect chance for our bloggers to get to know each other before attempting the seemingly impossible task of recreating Ladurée’s famous sweet treat. 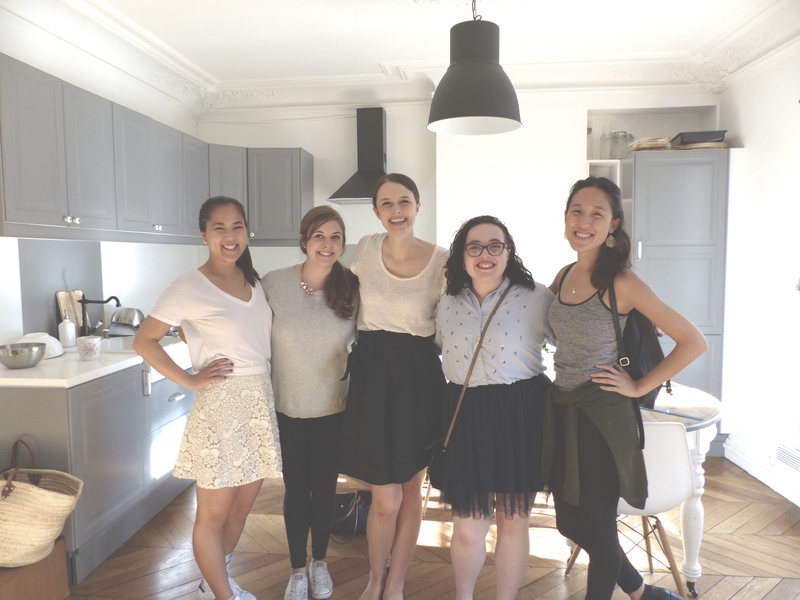 Our bloggers were Anne, Celina, Jocelyn and Melissa, all American and all lured to Paris by its timeless glamour. Once teas were drunk and mini-meringues eaten, the group of girls gathered around the rustic round table of Bénédicte’s apartment, eager to hear the secret to macaron-making. 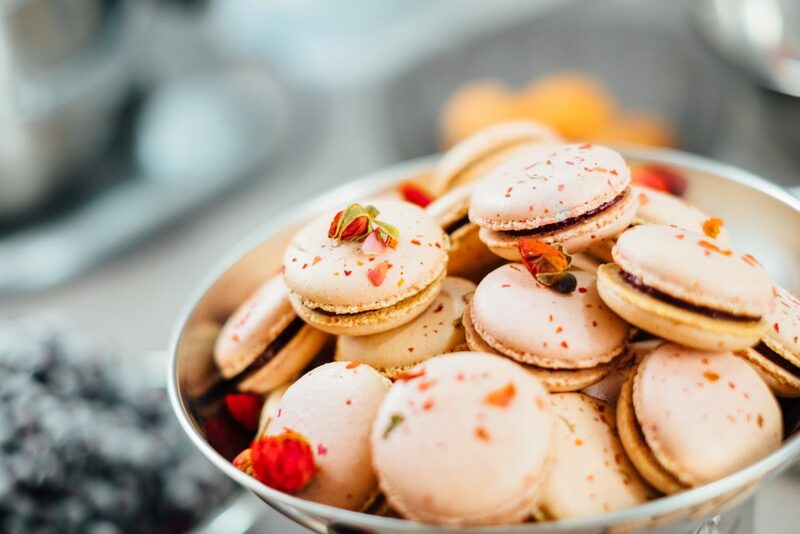 Armed with some scales, a sift and the knowledge that all macaron bases are the same (it’s just the filling that gives them their flavour), our bloggers began to craft their luxurious little treats. With their mixture ready and sporting the vibrant colours of pink and yellow, they were placed in piping bags, and squeezed onto pre-drawn squares. Bénédicte, picking up the baking tray, said that this is “the secret to getting perfectly formed macarons,” then promptly dropped the tray onto the table. 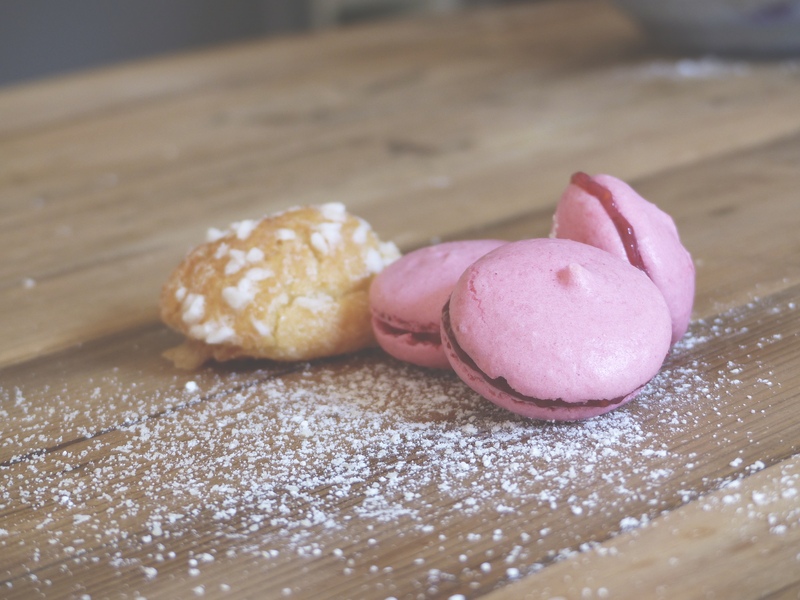 The loud clang rang through the apartment, she repeated the action, stating that it was a great way to get the best shape for the macarons. Once the base was ready, the bloggers started on the filling, using fresh lemons and real raspberries. As they stirred, peeled, and whisked, the lovely ladies laughed as they spoke about the differences between the USA and France. They revealed their reasons for moving to the capital, what they missed from back home, and listened to Bénédicte’s own story. Our hostess has lived on the same street her whole life, making her a bonafide Parisienne and expert in the area. After sandwiching the filling between the macaron bases, our bloggers took a seat ready to enjoy the fruits of their labour. This 3-hour macaron-making class in Paris ended in true French fashion, with a bottle of champagne. Conversation was as free-flowing as the bubbly, and the bloggers arranged to meet up again post-BonAppetour experience. 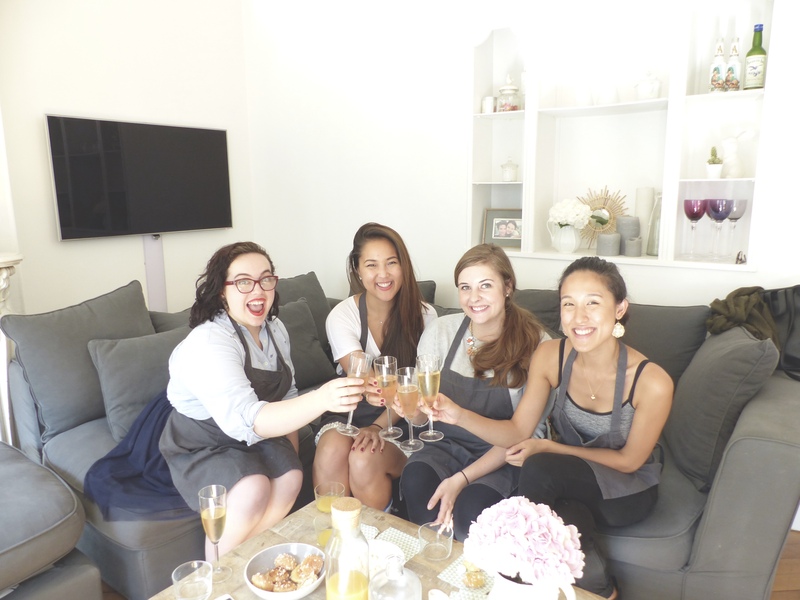 From left to right: Melissa’s review on Melissa in Paris, Anne’s review on Hardly Snarky, our hostess Benedicte’s macaron-making class in Paris, Celina’s review on Quirking It Out, Jocelyn’s review on Samba Through Life. 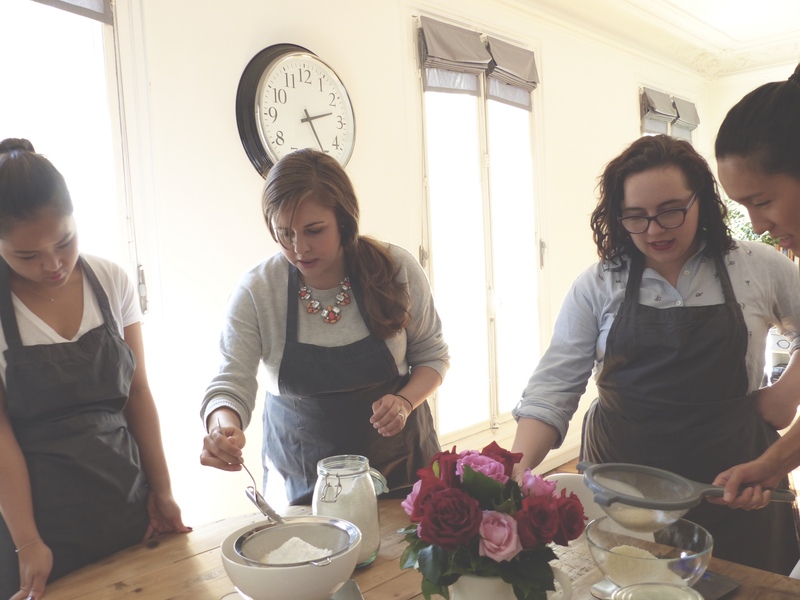 Read any of our bloggers’ reviews of this macaron-making class, and get 20% off your own quintessential Paris experience.